Cord cutting is picking up steam. Forecasters are predicting a 33 percent increase in people dropping their cable subscription this year over last—faster than analysts predicted. You might think this is all about the money, and that’s certainly a big factor. Cable TV bills, after the first year lock-in deals expire, can easily climb above $100 a month. Replacing a cable subscription with Netflix, which costs $14 a month at most, is a quick way to save a little money. And sure, part of that $100+ per month you’re still going to have to pay if you’re keeping your broadband internet. But, even with that, you can still save money cutting the cord. But cord cutting isn’t just about the money. Depending on how many streaming services you pay for, cord cutting might even be more expensive than cable (especially since you still have to pay for internet access), but people are doing it anyway, because streaming services at this point are better than cable. Here are a few reasons why. I haven’t had cable since college, back when woolly mammoths roamed the US and Slashdot’s traffic could take down web-servers. Things were straight forward then: you turned on your TV and changed the channel until you found something you wanted to watch. Modern cable setups are not like this. For one thing, the advent of digital channels has made channel changing slower. Try to flip through channels these days, and you often have to wait a few seconds before each channel actually pops up on the screen. 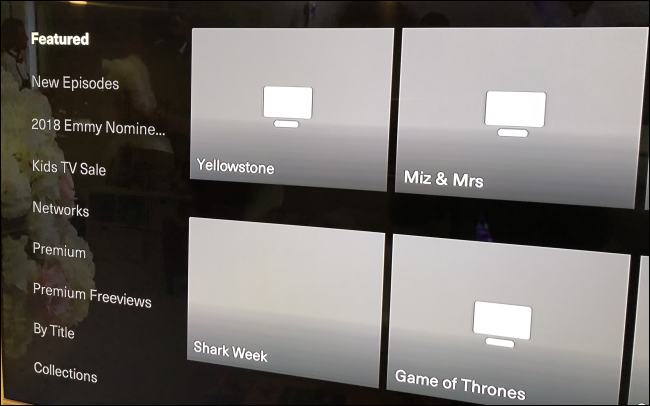 And yes, modern cable set top boxes try to offer features like interactive guides and searches, but those are often more frustrating than they should be. The guides and other features can be slow to work with, and most show channels you don’t even have access to with no way to filter them out. Take Verizon’s FIOS offering, for example. One of my coworkers with FIOS reports that it’s so slow that just about every button press takes seconds to respond. Fire up their On Demand interface, and it can take up to 30 seconds to load. And even then, the thumbnails for shows haven’t popped in. Now, to be fair, some providers do at least try. 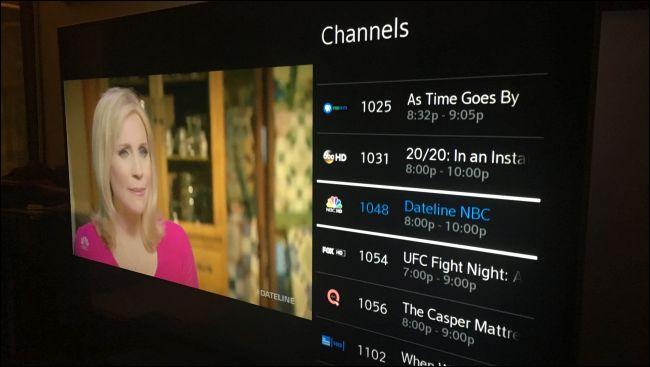 Comcast’s Xfinity service, for example, actually has a pretty slick interface and a nice feature set—guides that fly in from the right, for example, and let you filter to just the channels you want to see. Xfinity also has apps that add some functionality, even though they are very few at the moment. You can tie in your Netflix account (but not Hulu or Amazon), pop up a window with sports scores, and that sort of thing. And their voice remote is surprisingly good. You can use it to change channels, adjust settings, and even search for movies, genres, actors, and so on. But even with all that, things are still a little clunky. The interface is a bit sprawling, so things are harder to find than they should be. Button presses can take a while to register (try to pause a show, for example, and you could wait several seconds before it actually happens). And even Xfinity (which is the best cable TV interface we’ve seen) just doesn’t hold a candle to the interface provided by streaming services like Netflix and Hulu. Log in, see the shows you’ve been watching, and then start watching them. Cable set top boxes also pale in comparison to the utility of steaming set top boxes like Roku, Fire TV, or Apple TV. For one, the streaming boxes have access to way more streaming content providers. But they also have interfaces that are much simpler and more powerful. Roku, for example, has access to thousands of different channels, but still makes everything very easy to access and search. In the end, cord cutting isn’t just cheaper than cable (usually). It’s a better solution all around. TV channels made sense, once upon a time. Content was delivered using a particular radio frequency at a particular time, so you tuned your TV to that channel whenever your show was on. The internet renders that entire system obsolete. There’s no reason for “channels” to exist anymore, other than that’s the way cable has always worked. These days, channels have become more about show branding than anything else. When you watch a show that was developed by AMC, The CW, FX, or SyFy, for example, you pretty much know what kind of show you’re getting because that’s what they do..
Find a kid who has always had access to Netflix and try to explain to them that their favorite shows are only on at a particular time, once a day. They will think it’s just the dumbest thing, because it is. We have a better system now. But cable TV remains, by and large, committed to channels, which are the entertainment equivalent of the fax machine, continuing to exist for no particular reason. Users need a patchwork of on-demand services and home DVRs if they want to watch things on their own schedule. It’s a mess. Streaming services, meanwhile, let you watch things without thinking about archaic concepts like channels. Log in and start watching. But cable isn’t just a terrible interface for watching television: it’s also an annoying experience. Instead of watching shows without interruption, the way streamers are used to, cable TV channels constantly interrupt shows so that GEICO can play the same loud “jokes” for the fifth time in the past hour. Watch shows on streaming services long enough and this simply becomes unacceptable. I’d rather wait a year for a show to become available on Netflix than put up with ads while watching it, and I’m not alone on that. Even when you DVR a show and can fast forward through commercials, they are still just awful. Lyft and Uber have upended the taxi market, in part because of their lower pricers. That’s not the whole story, though: both services are also a lot easier to use than regional taxi companies. Previously, people needed to look up the local taxi provider, find a phone number, call, and wait for the cab to show up. Now you just need to open an app on your phone and a car will likely be there in minutes. It’s cheaper, sure, but that’s only part of why people are using it. The ease of use is a big deal. Cord cutting is the same way. People are saving money, sure, but they also don’t have to deal with cable TV anymore. That in and of itself is a good enough reason to make the switch, and cable companies know it. Some are working hard to improve the cable experience, but I can’t help but wonder if it’s too little too late. Of course cord cutting isn’t for everyone, as I’ve talked about before. It’s also not an all-or-nothing proposition: plenty of people who pay for cable also pay for Netflix, Hulu, and similar services. I wonder if, over time, these people will use their cable subscriptions less and less often, then eventually drop the service entirely. I bet Comcast is hoping that doesn’t happen, but they’ve got some work to do if they want to prevent it.